Red Band GPS Power Cables looks like standard USB data cables but have the built-in ability to signal a GPS unit that it is NAVIGATE mode when plugged into any "dumb" charger such as car chargers, wall adapters or 3BR Powersports TAPP series of all-weather USB power ports. Normally, plugging a GPS into a USB socket with a standard DATA cable will put the unit into DATA mode. 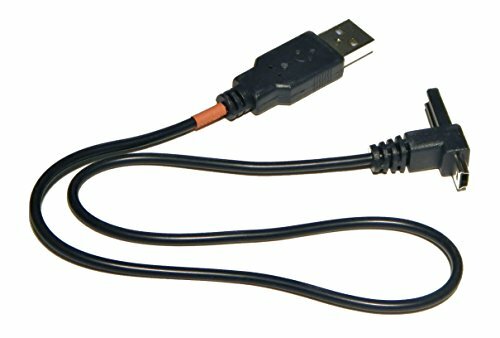 Designed for the Garmin Nuvi family of GPS units, this cable will also work with any USB power device that accepts a USB Type B MINI plug. Red Band GPS Power cables get their name from the red band that indicates that they are power cables only and CANNOT be used as a data cable. USB Type B MINI Right Angle UP plug connector matches the USB socket orientation on the Garmin Nuvi GPS. 36 inch cable length minimizes cable clutter in car or truck use. A pull tab on the plug reduces strain on your device USB socket when removing the cable. Power cable only. NOT a data cable. Cannot be used for data transfer. If you have any questions about this product by Red Band, contact us by completing and submitting the form below. If you are looking for a specif part number, please include it with your message.